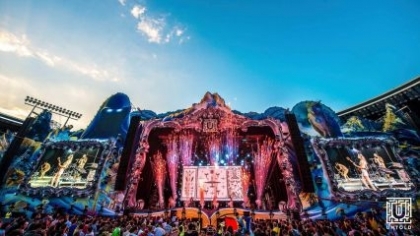 The Chainsmokers, Jason Derulo, Tiësto, Don Diablo, Tujamo, Danny Avila are among the artists who will perform at Untold Festival, due in Cluj-Napoca on August 2-5 this year. The organizers informed that the duo band The Chainsmokers is coming to Romania for the first time, to perform at Untold in August. The two members, Alex Pall and Andrew Taggart are Grammy winners, while their famous hit, “Closer” has posted over 2 billion views. According to the Forbes magazine, The Chainsmokers ranked the third best paid DJs in the world in 2017. 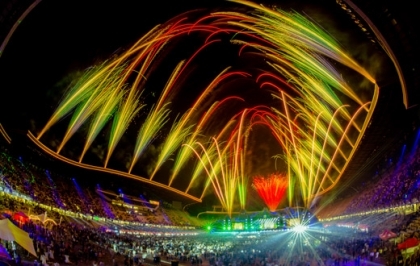 Jason Derulo is also a new comer at Untold, but not to Romania. He performed at Neversea in Constanta last year, pledging to come back to our country. So, hits like “Swalla”, “Tip toe”, “Wiggle Wiggle”, “Want to want me” will be heard live on the main stage of Untold. Tiësto is coming back to Untold, ranking in the fans’ preferences, just like Don Diablo, Tujamo and Fedde Le Grand. KSHMR and Danny Avila also performed at Neversea last year and are coming for the first time in Cluj-Napoca. Asteroids Galaxy Tour and Will Sparks complete the line up of the festival’s main stage. The Galaxy and Alchemy stages will also host major names: Paul Kalkbrenner, Pan-Pot, Jamie Jones, Seth Troxler, Borgore and The Glitch Mob. 35,000 people have bought passes for the Untold so far. Organizers also announced that fans will be able to get accommodation at the student’s hostels in Cluj-Napoca.